Although a Beaux-Arts architectural masterpiece built of marble to last forever the railroad sold the air rights above the Penn Station. 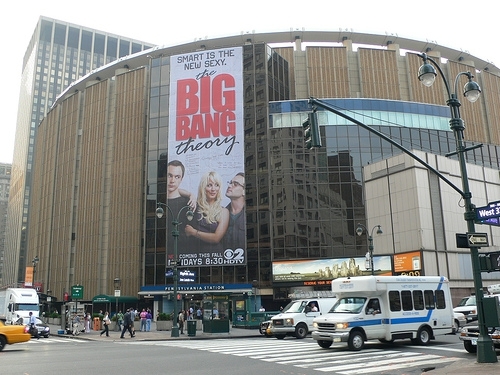 The building was demolished in 1960 and replaced by an office tower and new Madison Square Garden. The new Penn Station would be undergound below Madison Square Garden. 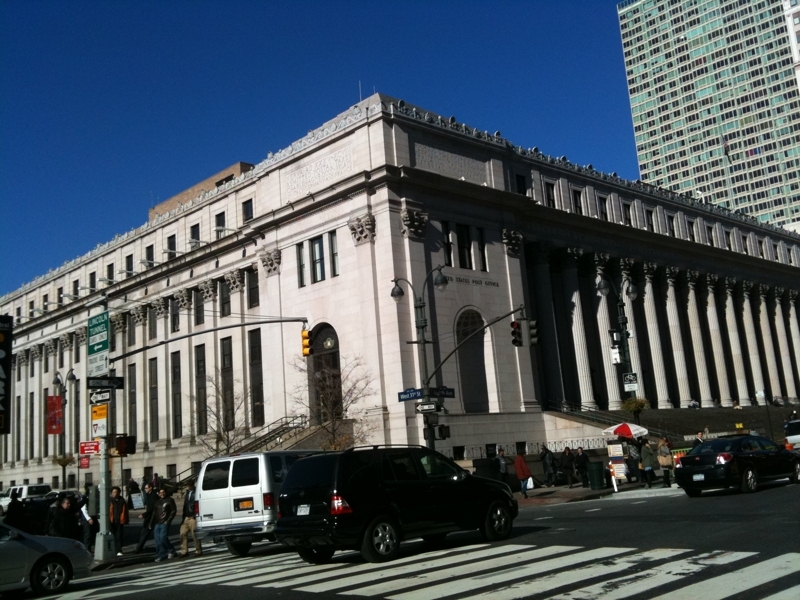 An Awesome building also designed by architechts McKim, Mead & White The Farley Post Office has served as New York City's general post office. As a Senator, he secured federal, state and city funds and guided an initial architectural plan to rebuild the station in the adjacent James A. Farley Post Office. Following Moynihan's death in 2003, Senator Charles E. Schumer and Governor George E. Pataki proposed re-naming the facility Moynihan Station to honor the Senator from Hell's Kitchen. The project has been taking a long time. It's been on and off. It is now being coordinated with other vital transportation projects including the number 7 subway train extension, connection to Grand Central Terminal and commercial and resdential real estatel development of Husdon Rail Yards, Manhattans's last large parcel of undeveloped land. The project developers are Voranado and Related. Much of the land of the Hudson Yards is below grade railroad tracks that are proposed to be “covered over” to accommodate development and parks but ideal for the new transportation hub. The City is confident that this area can be transformed into one of the most desirable neighborhoods in the 21st Century because it accomplished this feat at the beginning of the 20th Century. Phase 1 has begun mostly involving below ground infrastructure. The Train Hall has not yet been designed, but the recently-released documents describe it as, "A new, iconic, sky-lit train hall (including a grand concourse larger than Grand Central Terminal's main concourse), constructed largely within original Farley's courtyard, covered by a glass roofscape, with direct vertical access to train platforms below." Phase 2 would also include private development within the Farley Post Office, which could be made up of retail and possibly a hotel. New York's greatness over the centuries can be attributed to the original planners. The gridplan of 1811, laid out the future of development for the entire island of Manhattan.